When you talk to some of the best facial hair transplant surgeons in the country, you will realise that losing facial hair is not as uncommon and there are plenty of others who might be suffering the same plight as yours. However, with medical advancements, replacing facial hair has actually become quite easy. Any facial hair, including eyebrows, eyelashes, moustache, beard and sideburns can be considered for a facial hair transplant. 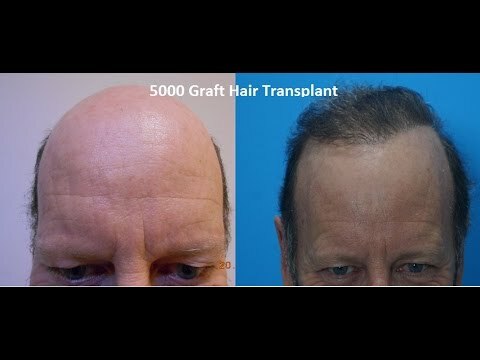 If someone has lost hair in these areas or is facing thinning, then a facial hair transplant would be a good option. However, it is important that you choose to get the procedure done through the best facial hair transplant clinic, because if not done by experienced hands, there can be serious side effects or the final results can be quite disappointing. Who Need Facial Hair Transplant? A facial hair transplant is generally a minimally invasive one. And in the hands of an experienced surgeon, practicing at one of the finest clinics for facial hair transplant in India, the process is a reasonably simplistic one. As a matter of fact, an experienced surgeon will be able to grow hair, where there aren’t any. Hair will be removed from the side or the back of the head, via FUE or FUT and healthy hair follicles will be extracted. The area that needs to receive these hair follicles will be demarcated well in advance, and the surgeon will place the grafts in the same. The procedure is actually quite similar to an FUE that would be done on the head, and direction of hair and orientation is very important. The choice of procedure will be heavily dependent on aspects such as which part of the face is involved and how the final design will be. With an FUE procedure, there will be no scar, which is why it is the most chosen for facial hair transplant. Investigations for Facial Hair Transplant? Before you can undergo a facial hair transplant, you will have to spend some time with your doctor. For starters, your doctor will have to confirm that you are physically and mentally fit to undergo the procedure and you are looking to get the same done for valid reasons. You might be asked to undergo a few basic blood tests ( like haemogram, bleeding profile tests) and if you are on any ( herbal or multivitamin) medication, you might be asked to stop or alter them for a few days. This would also be the time when your donor and recipient areas would be scrutinised carefully, allowing the doctor to help you finalise a design for your facial features. You would also be given an idea of how many grafts will be required and how much the entire process will cost you. Side Effects to a Facial Hair Transplant? This is where the expertise of your surgeon comes into picture, because the more experienced the doctor is, the lesser the chances of anything going wrong. When the procedure has been done correctly, there will no scars, discomfort or infections. If the procedure has not been done properly, there is quite the chance that you might end up with scars, infection, swelling, bruising or even an improper hairline. A facial hair transplant is a surgical procedure, which means that there are bound to be some complications and risks, which you will have to be prepared about in advance. Given that this is a surgical procedure, it might not be the easiest on our pocket and many insurance companies will not cover the same, considering them cosmetic in nature.Designing a facial feature is possible, but you will have to keep your expectations realistic. The same will also be dependent on the hair in your donor area.While the procedure might last only a few hours, you will have to take some time off, for the healing process to be completed. Why get a facial hair transplant at AK Clinics? When you come to AK Clinics, you get a team of doctors, who are not only extremely qualified, but also have several years of experience. Each of the doctors has trained at the most renowned organisations and has practised under some of the biggest names of the domain.For a doctor to be successful, having an adept team is just as necessary, which is what you will get at AK Clinics. The team is well trained and with their assistance, not only do procedures get completed well within time, but also with greater efficiency. The standards of patient care, hygiene and the equipment used are at par with any international centre for facial hair transplant, giving each patient the best possible experience. Out results are results are testimony to the quality service delivery of our doctors & team. All our hair transplant results, hairless results, cosmetic surgery results or skin treatment results are purely due to standardised practices that we follow at all clinics. It is medically not possible to get 100% results but we strive very hard to remain as close as possible. What Are The Types Of Facial Hair Transplants? The eyebrows are the highlighting factor of the face, which is why their symmetry is of the utmost importance. It is also important to keep in mind their structure, density and size. If you are looking at increasing the length or the size of the eyebrows, the same can be done quite easily. New grafts can be placed to alter the shape or the density of the existing eyebrows. As a matter of fact, this method of transplant can also be used to help people who might have been born without eyebrows, as this is a permanent method and if it is being done via FUE, there will be no scars or marks. There are several people who have very little growth in their moustache and this could be attributed to genetics, illness or hormonal changes. Conditions such as cleft lip, accidents or illnesses such as cancer could also lead to the moustache being thin and not having the desired density. With facial hair transplant for moustache, not only can lost hair be replaced, the density can be increased as can the length and width. In the hands of a skilled surgeon, you could even have a completely different style of moustache. Several men around the world might have hair growth on their face, but it might not extend properly to a full-fledged beard. There might be a beard that is really sparse or it could have a very irregular hairline. There are also those who might have a bald patch in their beard area, which could look very odd. With a beard transplant, not only can men enjoy a proper beard, but also one that is designed as per their liking. They can ask their doctor to make it as thick or as thin as they want and even the density can be as per individual liking.